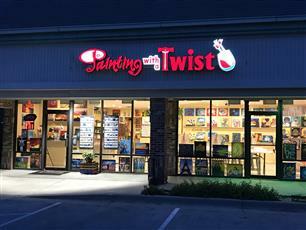 Welcome to Painting with a Twist Carmel! 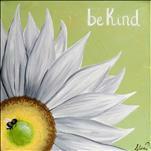 We are a fun, instructional painting class for adults and kids that helps you discover your inner artist. (and Yes, everyone has one) We have a huge inventory of paintings available and the best Artist's in town! Our motto is, "This is fun art, not fine art", which means you can leave your stress at the door and get ready for a great relaxing time. No painting experience needed. Our talented local Artist will guide the entire class with step-by-step instructions to complete your painting in just two hours while listening to great music. Our Carmel studio has a Twisted Tiki Bar with drinks, sodas and light snacks. If you are ready to find your inner artist, just click on the Calendar tab, select a class, reserve your seats and get ready for a great experience. Perfect for a girls night out, date night or bring the whole family! We provide everything you need to complete your painting in one class. 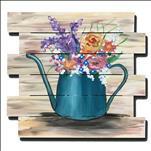 Paint, canvas, brushes, apron and step-by-step instructions. 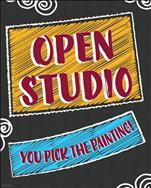 OPEN PUBLIC CLASSES - We offer adult, kids and family painting classes. 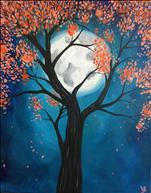 Gather your friends and family, make it a date night, girls night out or just come paint by yourself. 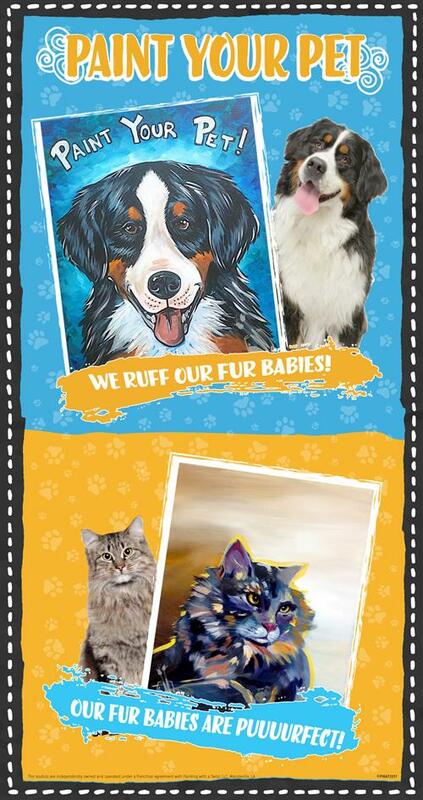 Check out our Calendar to see all our paintings and classes coming up. Each class listing will provide you the minimum age for each class and the cost per person. Only paid painters are allowed in the studio during a class, no spectators please. Children and babies are not allowed in any evening Adult class. No exceptions. PRIVATE PARTIES - We have a fantastic private party room at our Carmel studio. 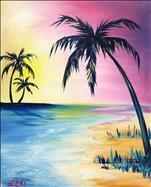 All you need are (10) painters to have our Private Party room for FREE! You also get to pick the painting for your party! You can bring in food as well. VIP PARTY OPTION - If you don't have enough people for a private party, no worries, just join one of our public classes and we will give your group you own VIP table. Just call our studio to arrange this option at 317-810-1335. No extra charge! GIFT CERTIFICATES - You can easily purchase Gift Cards online or visit our Carmel studio. These are a great gift for the person that has everything! They love it when they get it and again when they get to bring home the painting they created. BEVERAGES - Wine, beer, sodas, water, coffee and tea are available for purchase and light snacks. NO BYOB is allowed due to Indiana State Law. Proper ID is required to purchase alcohol. AGE REQUIREMENT FOR CLASS - The minimum age for each class is indicated in the class description on our website. Our minimum age for kids classes (and private parties) is 7 years old. Infants and toddlers are NOT allowed in the studio during a class. A paid reservation is required to attend a public class. No spectators, please. SCHEDULED CLASS TIME - Our classes start promptly at the scheduled time. If you are running late, please call our studio at 317-810-1335. If you are more than 15 minutes late, you may not be allowed to paint because you will be too far behind the rest of the class. Supplies and payments may be forfeited. CANCELLATION - We ask that you contact us at least 24 hours in advance if you cannot make it to your reserved class. Cancellations made BEFORE 24 hours will be issued a gift certificate good only at the Carmel studio location. If we are not notified within 24 hours, you will be charged the full amount and no refunds or store credit will be issued. No exceptions. STUDIO LOCATION - We are located at 301 E. Carmel Drive which is located at the intersection of Medical Court and Carmel Drive. We are in the same center as McNamara Florist and Pizza King. 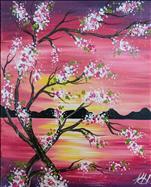 Come enjoy a little bit of paint, a little bit of wine and a whole lota fun! 18 and up for Regular Scheduled classes and 7 and up for Kids Classes and Family classes. Looking to impress your girlfriend or wife? 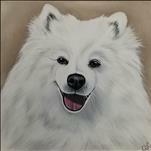 Bring her to a FUN painting party and she will love you forever. This is fun art, not fine art. 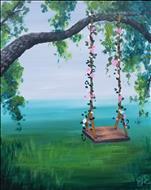 You will sit close to your sweetie while creating a painting together that she will never forget. Our artist will guide you step-by-step while you listen to great music and sip on your favorite cocktail from our Twisted Tiki Bar. Your masterpiece will be finished in just two hours and you can take it home and hang it up in your home. 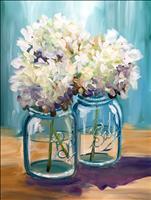 Just go online at paintingwithatwist.com/Carmel to select your class and reserve your seats! Easy as that! See you soon. Looking for a Gift Exchange Idea? Painting with a Twist has Gift Cards that you can get online at https://www.paintingwithatwist.com/giftcards/ or come into the Carmel studio and we will wrap it up in a red envelope! Give it as a gift and hopefully they will bring you when they come.